All of us are busy in our retro kitchens, cooking up goodies for Halloween. It’s October after all and Halloween is coming. So it doesn’t matter if you have a kitchen theme or not, it’s a fun time to be in your kitchen. If you have a themed kitchen and you are enjoying all the benefits of feeling better while working in your kitchen, then you definitely want to prepare for the upcoming Halloween with some great new recipes. 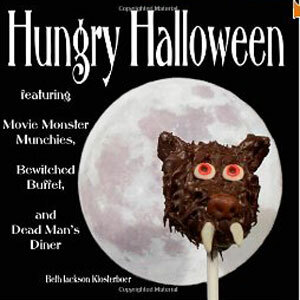 Halloween Cookbooks has found the top 10 for this holiday time. Everything from the ghoulishly freaky to the charming pumpkin cupcakes, plus plenty more. I just had to crack up laughing with the Vampire, Zombie and Werewolf cook-off one! Too much fun with plenty of great ways to make Halloween food fit for these monsters. Enjoy your retro kitchen look this Halloween with a new cookbook or two. The treats are sure to delight your whole family or gross-out your party guests. Either way, you win. This entry was posted on October 2, 2012 by buckhawk in Retro Kitchen Theme and tagged cookbooks, Halloween, Retro kitchen, retro look. Enter your email address to follow Kitchen Accents with a Theme and receive notifications of new posts by email.